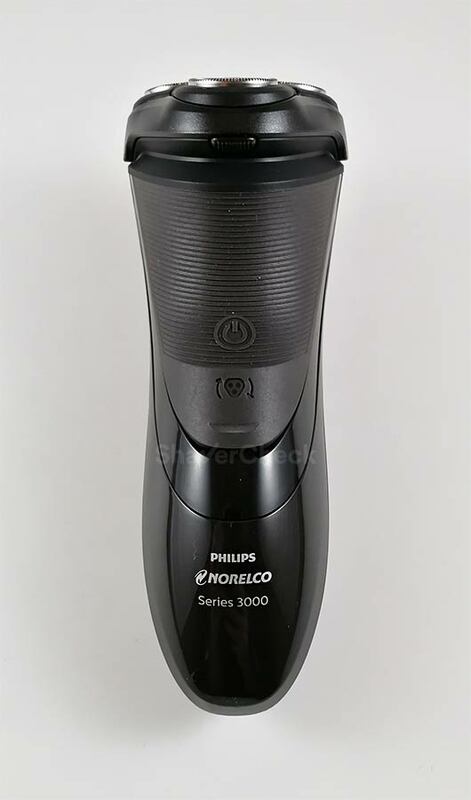 The Philips Norelco Shaver 3100 (S3310/81) represents a newer iteration of another popular shaver from the same Series 3000 line, the PT724/46. 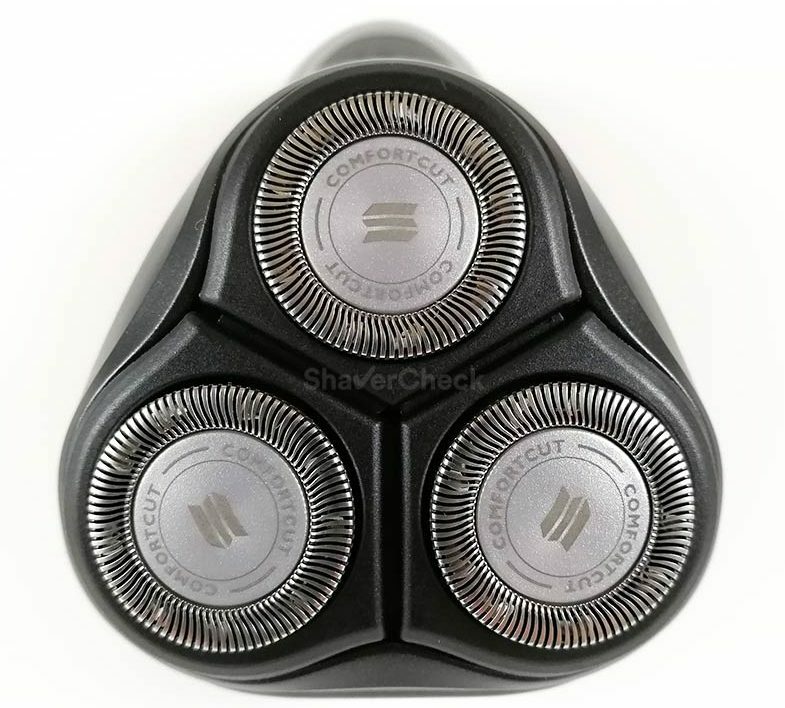 Compared to the older model, the Norelco 3100 brings along redesigned shaving heads and a new black color scheme. Entry level shavers like this one that are reasonably priced and punch above their weight are very appealing to buyers and usually end up being quite popular. The Norelco Shaver 3100 S3310/81 is already a best-seller in its category, so in this review, we are going to put it through its paces and find out if how good it really is. As usual, we’ll kick things off with a quick look over the main features. Wrapup — Who should buy the Philips Shaver 3100? 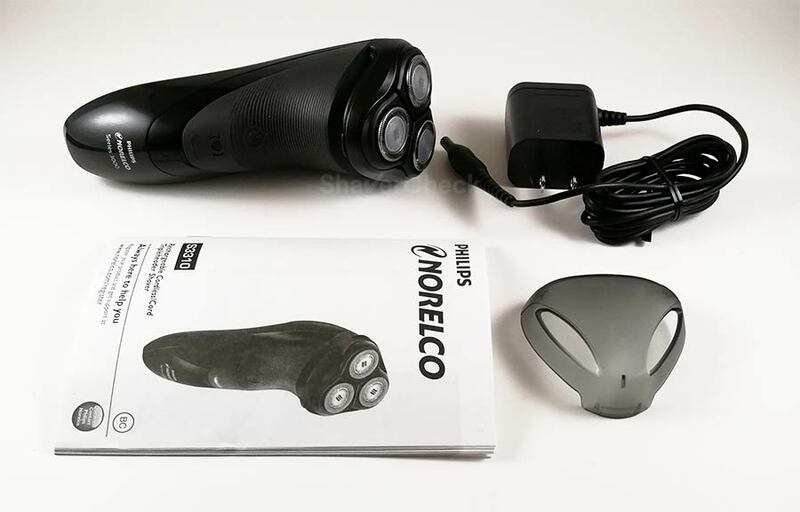 The Norelco 3100 S3310/81 is a basic rotary shaver that features the usual 3 cutter setup. The shaving heads have a rounded profile that should allow them to glide smoothly over the skin and with less irritation. Philips calls this ComfortCut Blade System. We’ll see how well this works in real life in the performance section of the review. I have no idea how they came up with the number four, but the individual shaving heads can be depressed and they also tilt inwards. More advanced Norelco razors have cutters that can flex outwards and the whole shaving head can pivot. Being a budget shaver, the Shaver 3100 lacks these capabilities. However, the shaving heads manage to maintain contact with the skin even if you have very prominent facial features. This is one of the advantages of rotary shavers, even if the Norelco 3100 is not by any means an advanced model. The Philips Norelco 3100 is equipped with a rechargeable Li-Ion battery, allowing you to use the shaver cordless. However, you also have the option to shave while it’s plugged in. This is possible because the Norelco Shaver 3100 is only suitable to be used dry. Wet & dry models can’t be used while plugged in as a safety precaution. On the back of the shaver there’s a pop-up trimmer, very handy for shaping your sideburns or goatee. Not all entry-level shavers feature one — like some Braun Series 3 models — so it’s nice that Norelco decided to include it. 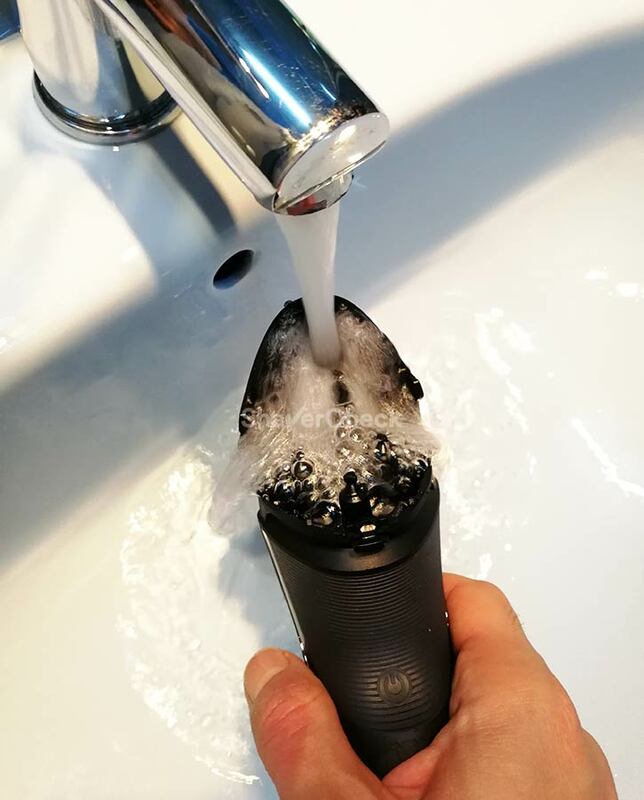 Despite being suitable for dry only operation, the Norelco Shaver 3100 can be safely cleaned with water. While it doesn’t look and feel particularly premium, the quality of the materials is excellent for a razor in this price range. However, it’s very lightweight and well balanced, making it easy to hold and to maneuver. 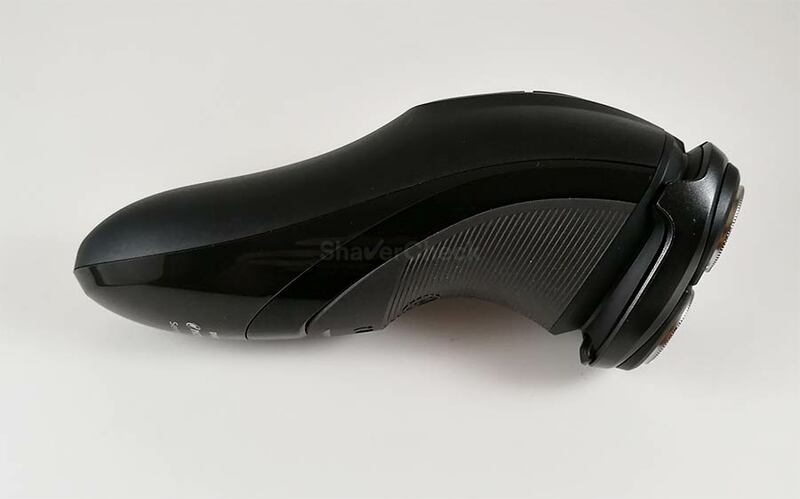 The construction is very solid and the finishing is also good, despite the slightly rough edges on the sides of the shaver where the matte plastic on the back meets the front glossy fascia. Nothing too serious that would cause discomfort though. 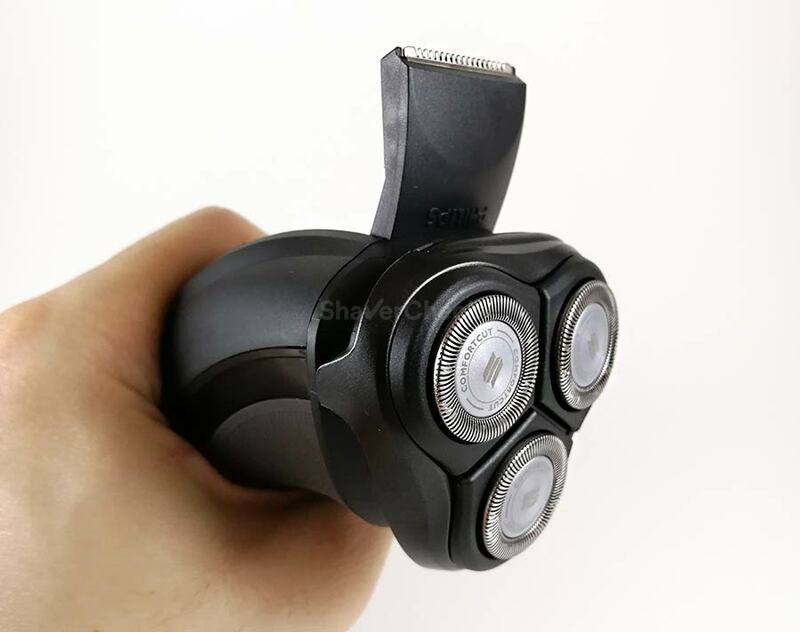 On the front of the shaver, the top half is covered in a very grippy rubber-like material that features horizontal striations, further improving the grip. The rubberized area houses the ON/OFF button, the replacement heads notification light and the low battery/charging LED. Right below the shaving head there’s a small release button used to pop open the shaving unit for cleaning. On the back of the shaver you’ll find the pop-up trimmer and right below there’s the switch that deploys it. Unlike other shavers where you must slide the switch to gradually lift the trimmer, here you have to slide it down and the trimmer, being spring loaded, snaps into position, perpendicular to the shaver’s body. 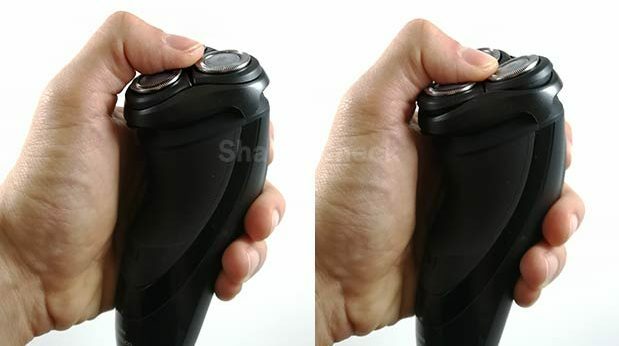 If I were to nitpick, I would say that the way you hold the razor during use, with your thumb resting over the power button, makes it susceptible to be accidentally pressed. However, this will happen only if you hold it excessively tight. Also related to the ON/OFF switch, there’s no travel lock on the Norelco 3100. Overall, it definitely gets ShaverCheck’s seal of approval for build quality and ergonomics. User’s manual, Extended warranty card (6 additional months), Leaflet for the replacement parts. As you can see, there’s no travel pouch or even a cleaning brush. The extended warranty card adds an additional 6 months to the 2 years warranty. In order to redeem it, you must register your product on Philips Norelco’s website. The two and a half years warranty, along with a 45 days money back guaranty are excellent, so kudos to Philips for that. My review unit came with the battery completely drained, so I had to charge it before being able to use it cordless. The charging brick is among the most compact I’ve seen and that’s definitely a plus. For example, here it is alongside the one from an older Panasonic Arc 4. Upon plugging the shaver in, the battery notification LED blinks intermittently, alternating between green and orange. This signals the fact that the battery is fully drained. After a few minutes, the LED will only blink green and continue so until the battery will be completely charged. And this takes up to 8 hours according to Philips, although mine needed approximately 6 hours for a full charge. The green charging lamp will light up continuously to signal that the battery is full and will then turn off. 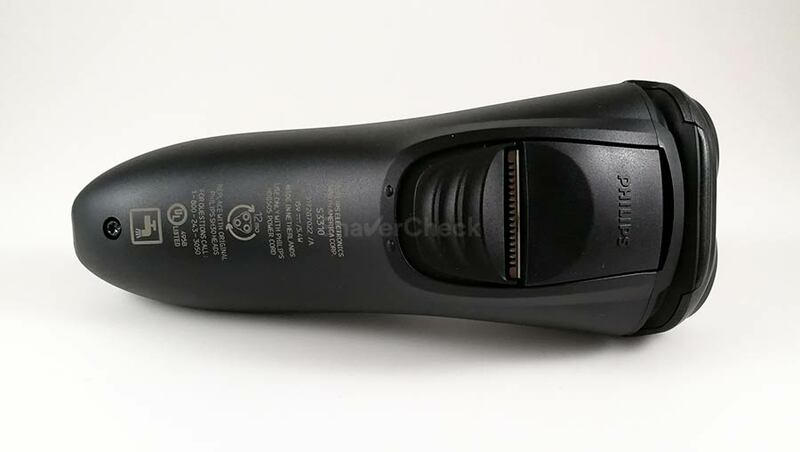 The long charging time would be a problem if you couldn’t use the shaver while it’s plugged in, as it was the case with the cheaper Philips Norelco 2100 from the Series 2000. However, you can shave with the 3100 while the shaver is charging, so it’s not really a big deal. With a fully charged battery, you’ll get around 45 minutes worth of shaving time, which is on par with the industry standard. The battery life is excellent; while I haven’t rigorously tracked it, I can confidently say that it’s within those specs. Let’s now get to the most important part of the review and see how well the Norelco 3100 shaves. I tested the shaver for a couple of weeks, shaving mostly every other day, but also tried my luck on a two and three days beard. For most of the time I used a pre-shave lotion as I have sensitive skin and I usually shave wet for the added comfort. Since the 3100 can only be used dry, a pre-shave lotion is a must-have for me. As usual, the performance section will be divided into several parts. 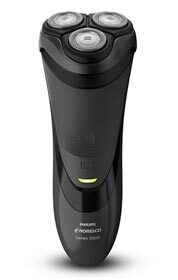 The Philips Norelco Shaver 3100 is a basic, budget oriented rotary shaver. It comes as no surprise that the closeness is pretty much on par with what you would expect from such a product. Precisely, it’s not the best. After completing a shave I could still feel some rough patches of hair, especially on my neck. On my cheeks, it actually managed to do very well, but on my neck and above the upper lip it just couldn’t get as close as I would have liked. Trying to go over those areas repeatedly and applying more pressure didn’t do anything beyond a certain point. In fact, you can only get a rash doing so. Don’t get me wrong, the Shaver 3100 wasn’t worse than any other rotary shaver you can get at this price point or even than the slightly more expensive ones. However, a Panasonic Arc 3 for example will get you a much closer shave, so if you are particularly interested in this aspect I think the Panny would be a much better choice. Rotary shavers have some specific pros and cons compared to foil shavers, the closeness of the shave being one of their weak points. The comfort during and after the shave with the Philips Norelco 3100 was quite good for a basic rotary shaver. In fact, it was a lot better than I was expecting. The shaver is adequately smooth and gentle, it didn’t pull on the hairs nor did it pinch the skin. It’s very important not to apply too much pressure, particularly with rotary shavers. I do get some razor burn on my neck when shaving dry with most electric shavers. However, apart from a slight discomfort and itching after completing the shave, I didn’t have any problems with the 3100. The shaving heads always stayed cool, even after a lengthy shaving session. Rotary razors have a clear advantage over most other foil razors when shaving longer, flat-lying hairs. While with daily use the differences aren’t that obvious, a two or three days beard can cause serious issues for foil shavers, particularly for the basic ones. 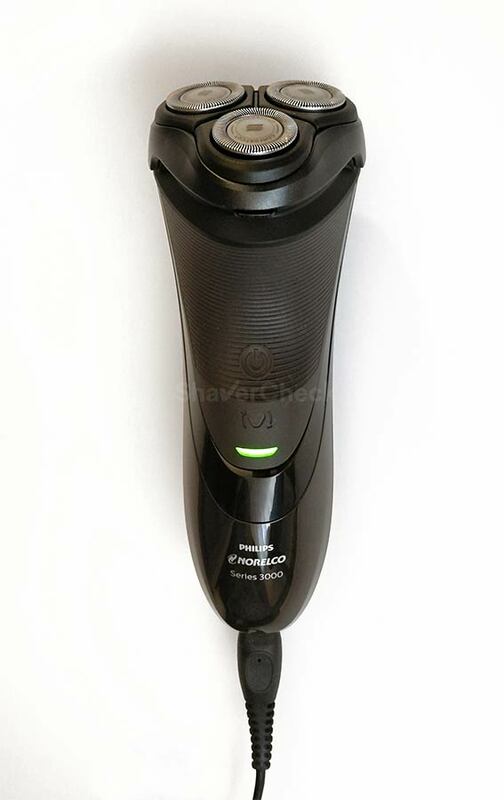 The Philips Norelco Shaver 3100 performed great in this regard. Shaving a two days beard went really smooth. On my neck the hairs grow mostly parallel to the skin and if I don’t shave often I will have trouble getting a smooth shave. Again, I was pleasantly surprised how the Norelco 3100 managed to get all the hairs very effectively, even though the closeness wasn’t the best. Granted, it wasn’t as good as other premium Philips Norelco razors, but it was definitely good enough. The pop-up trimmer on the Norelco Shaver 3100 had all the premises for a great performance: excellent positioning, adequately sized and the shaving head didn’t get in the way. However, using it was a bit anti-climatic. It just didn’t feel sharp enough and required multiple strokes to get all the hairs. Also, while the 3100 is very quiet during use, when the trimmer is deployed there’s a very noticeable hum accompanied by vibrations. Anyway, it’s still better than not having a trimmer at all. Cleaning the Norelco 3100 is very straightforward and easy for the most part. You should perform a quick cleaning after every use to avoid dirt and hair buildups. This implies rinsing the shaving unit (both the inside and the outside) under hot tap water. After you’ve finished shaving, with the razor turned off, press the release button to pop open the shaving assembly. Rinse the hair chamber, as well as the inside part of the shaving unit where the cutters are located. Make sure to clean the outside of the shaving unit as well. Shake off the excess water, then with shaving head open, let it air dry completely before closing it. And that pretty much concludes the cleaning operation that you’ll be performing for most of the time. With rotary shavers, a more thorough cleaning is needed every once in a while. Due to the way the shaving heads are designed, it’s likely that a quick rinse won’t remove all the hairs and dirt trapped inside the combs. Therefore, each shaving head must be taken apart and cleaned separately. I usually perform a thorough cleaning every two to three weeks. Let’s see what this implies in the case of the Norelco Shaver 3100 S3310/81. 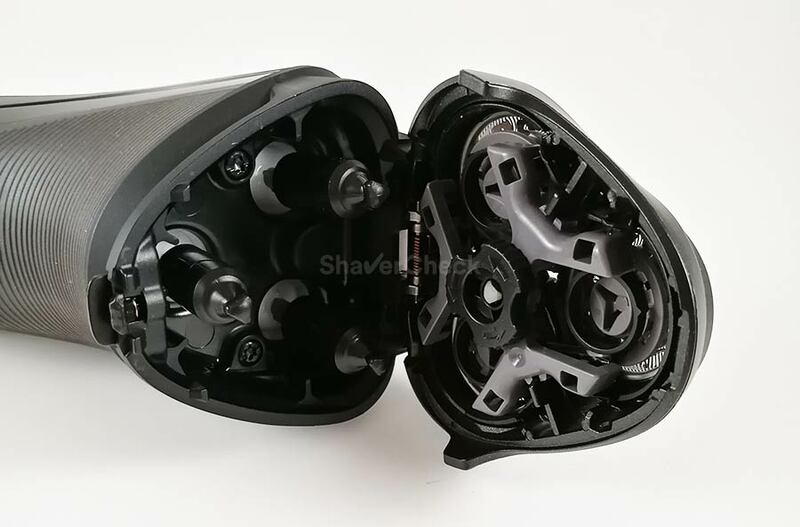 With the shaving unit opened, pull forward to detach it from the shaver’s body. On the inside you’ll see a lock with arrows pointing in a counterclockwise direction. Turn it counterclockwise to unlock and remove the retaining frame that presses the cutters against the combs. Remove and clean with hot tap water each pair of cutters and combs one at a time. It’s very important to not mix the cutters and combs since they are matching sets. If you interchange them the performance of your shaver will suffer, so take your time when performing this operation. 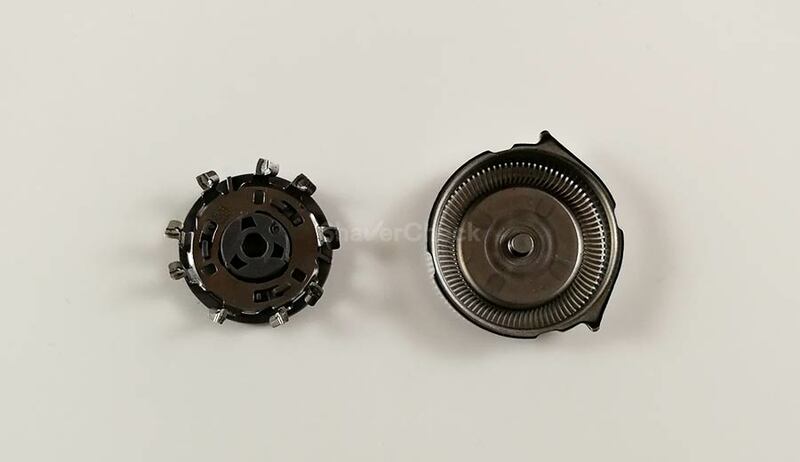 A cleaning spray like the Remington Shaver Saver can also be used; it will also lubricate the cutters, reducing the friction and the wear. After you’ve cleaned each shaving head, put the retaining frame back on and turn the lock clockwise. Reattach the shaving unit to the shaver and you’re all set. 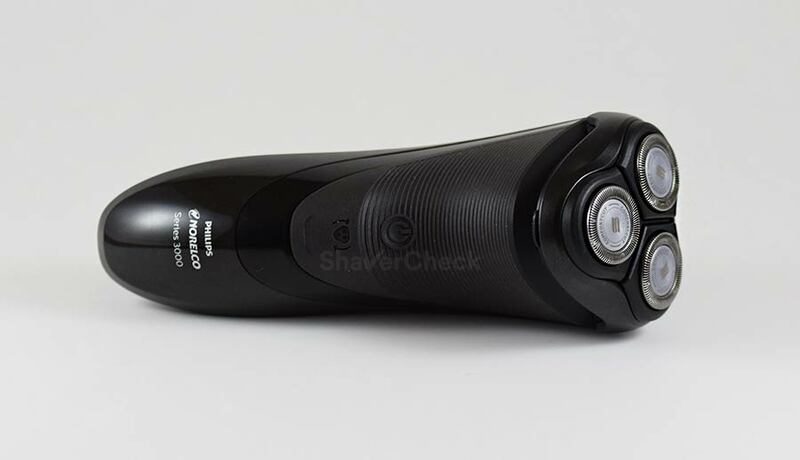 The Philips Norelco Shaver 3100 uses the SH30/52 replacement shaving heads. In fact, all the updated Series 3000, 2000 and 1000 use the same cutters. These ComfortCut shaving heads only have slots for capturing hairs as opposed to having both holes and slots like the older heads used on the PowerTouch models; also, the SH30/52 are usually cheaper to buy. Philips recommends replacing the shaving heads every 12 months. The Shaver 3100 S3310/81 will also remind you to change them via the indicator located right below the ON/OFF switch that will light up orange. You can reset it by pressing and holding the power button for at least 5 seconds. If you prefer rotary razors and your budget is limited, the Philips Norelco Shaver 3100 is a viable option. It won’t blow you away, but it is comfortable and quite capable at shaving flat-lying hairs. The replacement shaving heads are also reasonably priced and widely available. If you have light to medium facial hair, you’ll probably be satisfied with the closeness as well. I have a thick beard and while it didn’t feel underpowered, it just couldn’t get as close as I would have liked. If you have very dense, coarse facial hair and are particularly interested in getting a close shave, this razor is probably not for you. 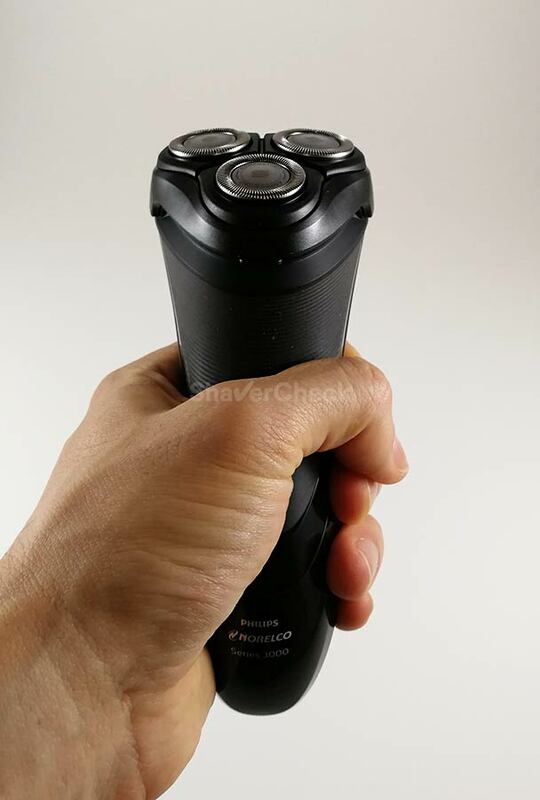 A more advanced rotary shaver like the Philips Norelco 8900 or 9300 will be a much better option — but will also be exponentially more expensive. 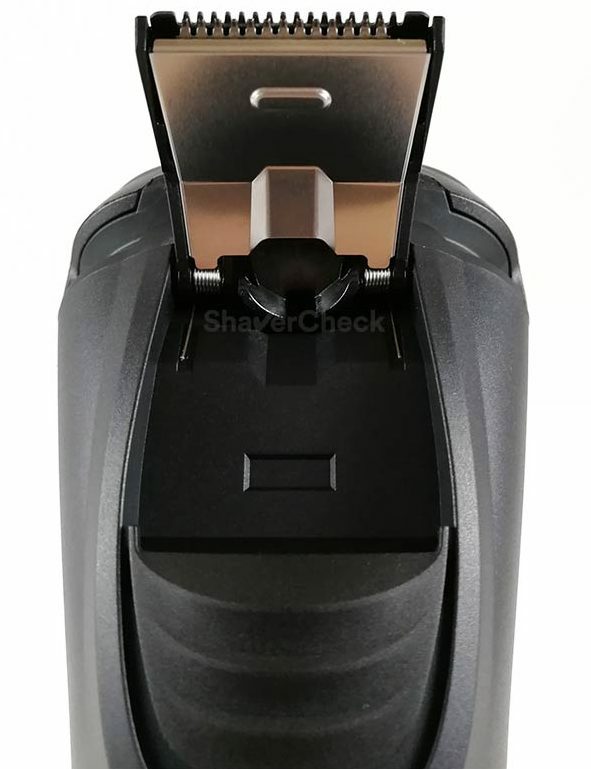 I actually don’t recommend you to get the Norelco 2100, but I’ve seen a lot of 2100 vs 3100 discussions and I wanted to address this as I think the Shaver 3100 represents a better deal. 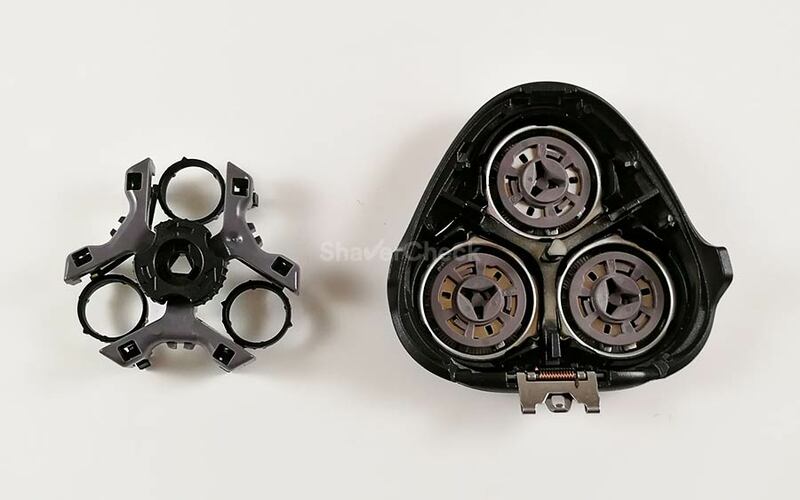 The actual shaving performance of the two is identical, the design of the shavers is almost the same and they use the same shaving heads. However, the 3100 has two major advantages: a bigger battery and the ability to be used while charging. The Norelco 2100 cannot be used when it’s plugged in, despite being a dry only shaver. This, coupled with the lack of a quick charge mode, an 8 hour charging time and only 35 minutes of cordless use are a bit of a deal breaker. My advice is to skip the Norelco 2100 and go for the 3100 even if it costs a bit more. 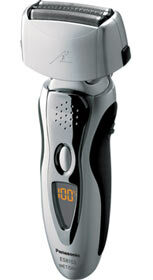 The Norelco 4500 (AT830/46) represents a slightly more advanced shaver compared to the 3100. 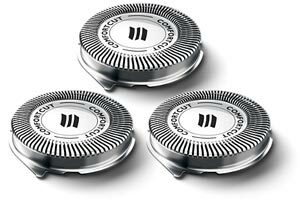 It has different shaving heads that are fitted with both holes and slots and it can be used for wet shaving as well. These features can improve the closeness of the shave, but don’t expect it to be as good as premium Philips Norelco razors. 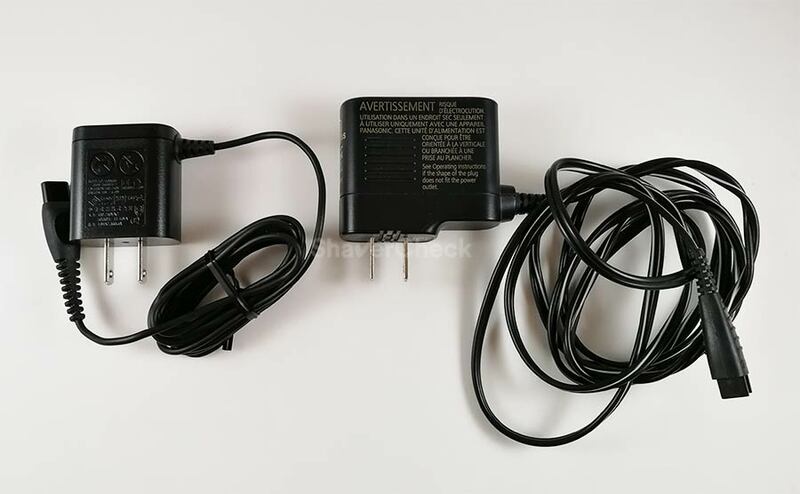 Another plus compared to the Norelco 3100 in this review is the charging time; the 4500 can go from empty to fully charged in one hour compared to the 8 required by the 3100. Keep in mind however that the 4500 can only be operated cordless since it’s a wet/dry model. 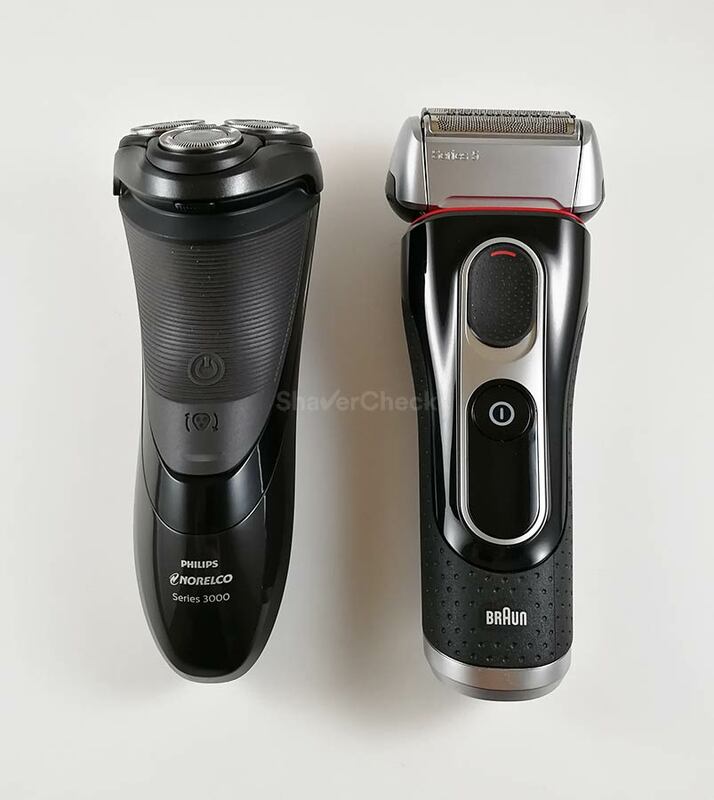 The Panasonic ES8103S is more expensive and it’s not even a rotary shaver; however, I think it makes sense recommending it as it represents an alternative that addresses the closeness issue. The ES8103S will get you a significantly closer shave, but keep in mind that it works best when used daily or every other day at most. Being a basic foil shaver, it’s not as good as rotary shavers at catching wiry, flat-lying hairs. Another similar shaver would be the Braun Series 3 3040s, particularly suitable to users with sensitive skin. I’m just getting ready to replace my “2100” that gave up because its battery just wouldn’t hold a charge for any more than 5 minutes. 2 1/2 years is all I got out of it so it’s no surprise. Following your advice (finally!) I’m moving up to a “3100” to keep my 71 year old face presentable. Thanks for the help. Thank you for taking the time to share your experience. The battery is indeed the Achille’s heel of the 2100, so the 3100 should be a welcome upgrade in that regard. Does Norelco offer a corded only , no battery shaver?